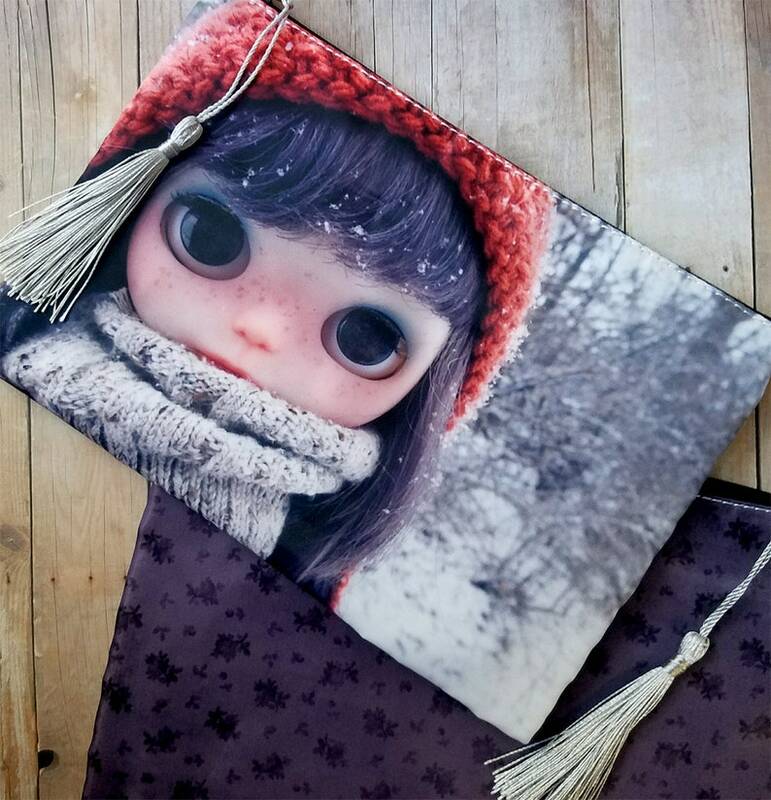 Carry your love of big-eyed girls wherever you go! Each bag measures approximately 9" x 6" and is made of a slick/parachute-style synthetic fabric that makes this the ideal wipe-clean surface for a makeup bag. Includes a hidden interior zippered pocket and white contrast stitching. The decorative tassel is somewhat delicate and attached with a slip knot to make it easily removeable for rough and tumble travel. Blythe in the Snow design has a greyish-purple floral printed back. Flowery Thoughts design has the same image on both sides. Placement of the image may vary slightly. Please allow for differences in colors due to monitor and lighting differences. Domestic orders will ship within three business days. International orders may take up to seven business days to ship--I apologize for the delay! So sorry for the late response...I wanted to let you know how much we loved these brilliant little Blythe Zipper bags...they are such a cute design and made so well! Cant thank you enough for them! !